Every two hours a baby is born in the UK with a serious heart condition. Congenital heart disease (CHD) is one of the biggest killer of babies in the UK, causing one in every 13 infant deaths. Early detection of heart defects means babies will get the treatment they need from the first opportunity – which can save lives, improve post-surgery survival rates and lead to a better long-term quality of life. Tiny Tickers is the only national charity with a focus on improving the early detection, diagnosis and care of babies with heart conditions. Congenital heart defects are the most common type of birth defect and it is Tiny Tickers’ ambition that no baby should ever die with an undetected heart defect. 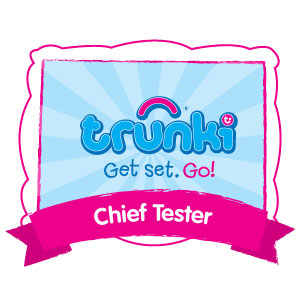 Tiny Tickers’ work can literally be life-saving. They provide specialist, on-site training in maternity hospitals to sonographers and health professionals who perform pregnancy scans. To date, they have trained thousands of health professionals, helping improve detection rates of heart defects at 20 week scans and giving the babies a better chance. At 20 weeks, a baby’s heart is only the size of a grape, making detection very difficult, which is why Tiny Tickers provide their specialist training to sonographers. Unfortunately, not every single heart condition can be picked up at this stage so as well as providing the specialist training, Tiny Tickers also provides a safety net for those newborn babies who are sent home with an undetected heart condition. They do this by increasing public awareness the signs of heart failure in babies, with campaigns such as Think HEART. On Sunday 21st May at 4pm on BBC 1 Tiny Tickers will be featuring in a BBC Lifeline appeal, presented by Gabby Logan. By sharing very different stories of two babies born with heart conditions, Tommy and Rocco, the appeal demonstrates how Tiny Tickers’ specialist sonographer training can save lives. The appeal begins with Natasha sharing her story. Her son, Tommy, had a congenital heart defect called Transposition of the Great Arteries, which sadly wasn’t detected before his birth. When he was born, he displayed all the signs of heart failure - his skin was a blue colour, he didn't want to feed, he was always asleep and cold to touch. At the time, Natasha had no idea Tommy was in heart failure but she knew something was wrong. She voiced her concerns to numerous medical professionals, but the diagnosis came too late. Tragically, at 11 days old, Tommy passed away. The second story has a far happier ending. Like Tommy, Rocco also has Transposition of the Great Arteries. But unlike Tommy, his heart defect was detected at his 20 week scan. This enabled him to receive life-saving treatment as soon as he was born and at six days old he had open heart surgery. 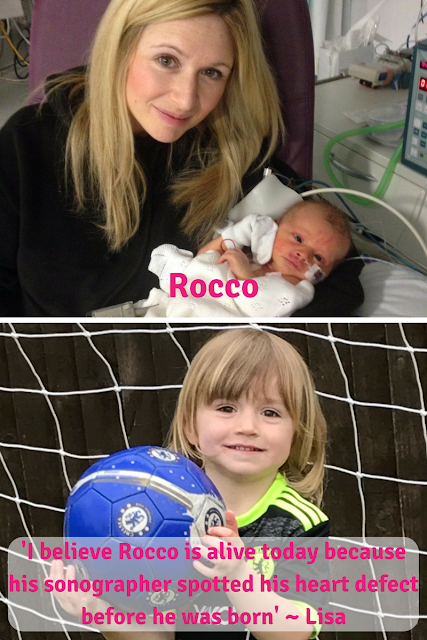 Today, Rocco is a happy, healthy three year old and a huge Chelsea fan! 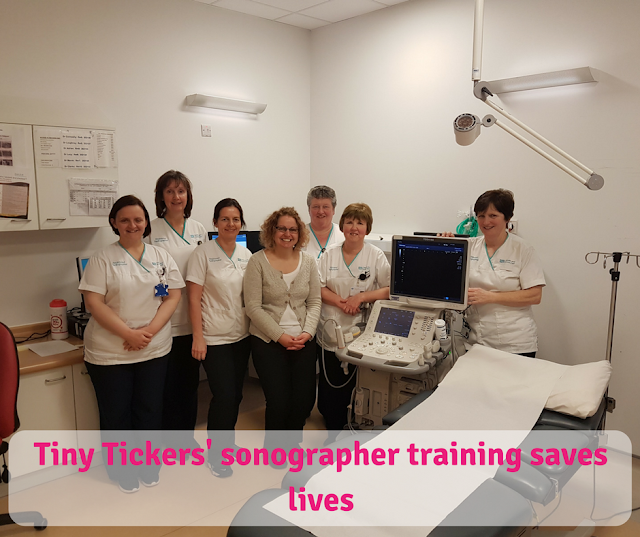 The sonographer training carried out by Tiny Tickers, coupled with their awareness campaigns, saves lives. Heart defects can happen to anyone - 90% of pregnancies with congenital heart disease have no historic risk factors. 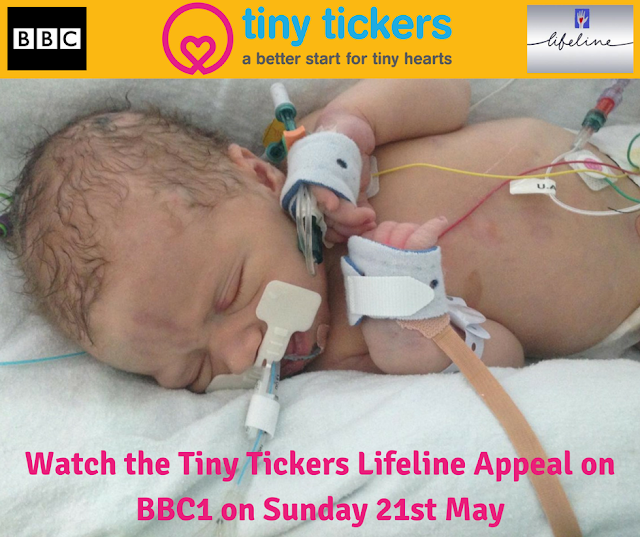 Tiny Tickers’ BBC Lifeline appeal is an amazing opportunity to help more babies like Rocco and prevent tragedies like Tommy’s. The donations generated from the appeal will help train even more sonographers and save more lives. Make sure you tune in to BBC 1 on Sunday 21st May at 4pm (and repeated at 1pm on BBC 2, Wednesday 24th May) to watch the appeal. If you miss the appeal on TV, you can catch it on the BBC Life website here*. Anything you can give will help Tiny Tickers train more sonographers and spread awareness of the signs of heart failure. 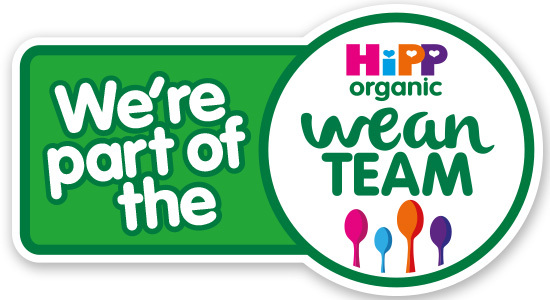 * £5 could pay for two ‘early diagnosis packs’ to be sent to expectant parents who have just been told the devastating news that their baby has a heart defect. 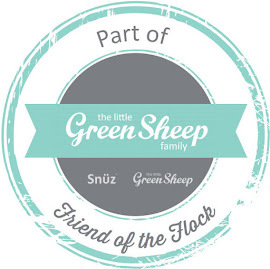 This pack will help them understand more about their baby's condition, and what to expect during the rest of pregnancy and after birth. * £10 could pay for 1000 heart cards to be produced. These cards alert parents to the signs and symptoms of heart problems. 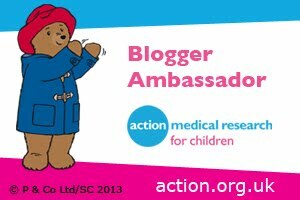 * £25 could provide 40 doctors surgeries with life-saving information on spotting the signs and symptoms of heart problems in a baby, information they can also share with their patients. * £75 could pay for one sonographer to receive specialist training. He or she could identify a heart condition in a baby and save its life. Congenital heart disease takes the lives of more babies than any other birth defect. Your donation can help save the lives of babies with heart conditions. Please watch the appeal and give what you can. Thank you.